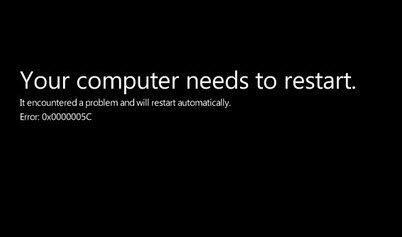 One of the major issues you could face on your Windows 7 PC is that the system just won't boot up. While many other minor issues can be fixed by booting up the system, finding the cause, and then removing the cause to get the system back to normal. However, if the system doesn't boot up at all, then you really have no options to find the cause and to then fix it. If you are in such a situation, I understand your pain as it is really not good to see your PC in a dead condition especially when you have some important work to do on it. Fortunately, there are some things that you can do about it. There are a few fixes that you can apply and see if they fix your Windows 7 PC won't start up. In most cases, these fixes simply get the PC fixed and you have a working PC with yourself. One of the first few things you want to do to troubleshoot the issue is to check if you have recently installed a new hardware and if it the one causing issues. Sometimes, some hardware items are simply not compatible with other hardware items on the PC and they may cause your PC to not boot up. To fix it, simply unplug the newly installed hardware from your PC and then try to boot up the PC. If it boots up, then the issue was the newly installed hardware and you should not plug it back again. If the PC didn't shutdown properly the last time you used it, it may cause system errors and as a result it just won't boot up at all. To fix the issue, you will need to use the advanced recovery option on your PC. First of all, make sure your PC is shut down. Then, turn it on and keep pressing the F8 key when you are on BIOS screen. It will take you to the Windows Error Recovery panel. 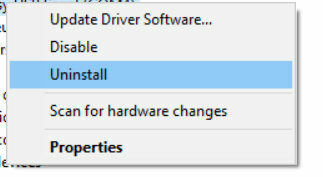 From there, click on the option that says Launch Startup Repair to launch the startup repair tool on your PC. On the following screen, you will need to click on the option that says Repair Your Computer to begin repairing your PC. On the screen that follows, choose a language and hit Next to go to the next screen. Then, choose your user account and move forward. Finally, click on Startup Repair on your screen to begin to repair your system. Follow the on-screen instructions and your PC should be repaired. Your PC should now boot-up normally as it did before. Windows 7 not starting and startup repair not working? You need a professional Windows boot tool to solve your problem. 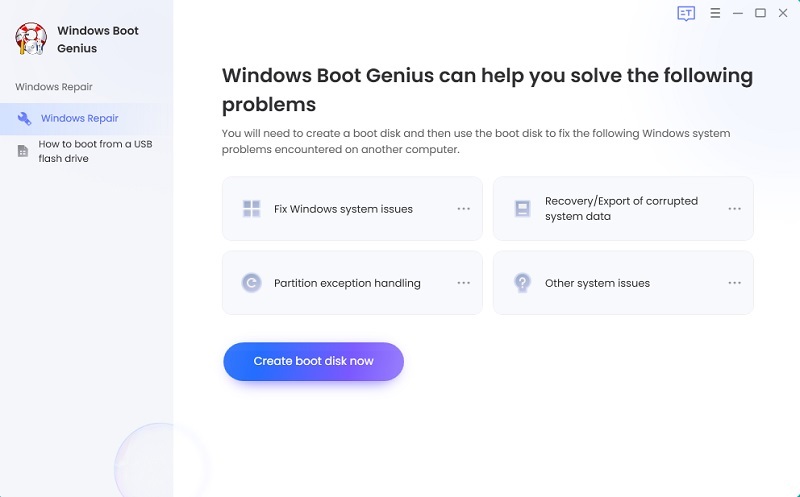 One of the tools I highly recommend you to use to fix boot errors is Windows Boot Genius by Tenorshare. It's a really good app that helps you fix all Windows won't boot issues like booting failure, crash, freeze, black screen of death, or blue screen of death and lets you have a smoothly running system. First of all, head over to the Windows Boot Genius app page on the Tenorshare website and download and install the app in any workable computer you can access. Insert the bootable CD or USB to your problem computer and boot your PC from the bootable CD/USB you just created. When successfully get into WinPE environment, you will see the icon of Windows Boot Genius. Launch Windows Boot Genius, click Windows Rescue > tap on Boot File Recovery > select system from pull-down list > Click. We hope the solutions outlined here would help you solve the problem that Windows 7 won't boot and if you have other issues, please leave a message at the comment area.